Having read Iqbal, Ramadan [Tariq], Eaton, Asad, Lings, Guenon, Hoffman, Rumi, Esposito, Ghazali, Jilani . . . this summer I still had the nerve to purchase yet another book. Hossein Nasr was on my list for quite some time now, keenly from the days of Eatons' 'Rememberence of God'. Hadn't had the opportunity to touch his works - till now. If classifying Ramadan was hard wait till you come across Nasr. Nasr is another member to the perennia philosphic tradition, with Persian roots and an Academic post @ George Washington U. he is a must read. 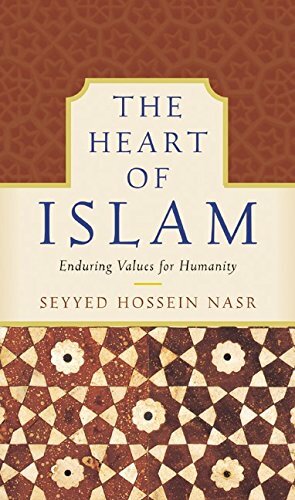 His book [ Heart of Islam ] would be a nice mixture of Eatons' Destiny of man, Lings' What is Sufism, Hoffmans' Islam the Alternative, Esposito's Islam the Straight Path, Love poetry of Rumi and the extensive depth and coverage of Muslim lands that would parallel Asads' Road to Mecca. I was amazed to see the cohesive forces that bind the chapters and issues present in this book. Using Nasr's style I would unashamedly call this book the Alpha, Omega of Modern Academic works that deal with Islam and Muslim issues.